Indulge yourself or someone special with a gift that keeps on giving. 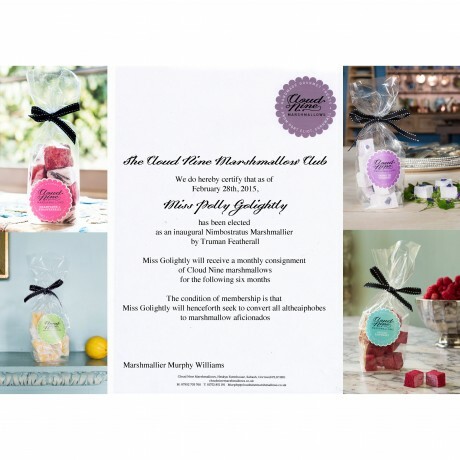 You or your nominated subscriber will regularly receive a 100g packet of our multi-award winning marshmallows, along with a personalised certificate sent out with the first consignment. You can also add a free gift tag message to this packet. 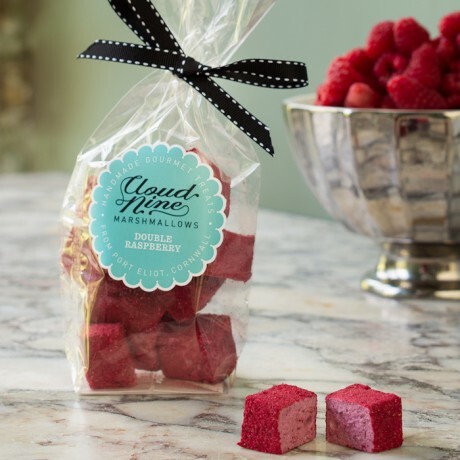 The monthly memberships, each named after rare cloud formations, includes delivery - a wonderful gift with outstanding value that will thrill loved ones, special clients and colleagues alike. Our handmade gourmet marshmallows are light as a feather and freshly made at our farmhouse in Cornwall in small batches, using only fine, natural ingredients. Sophie Dahl calls them 'sublime' and Channel 4's Sunday Brunch panel declared them their 'absolute favourite'. Some of the luscious flavours that will be included, depending on membership, are Salted Caramel Peanut, Lemon Meringue, Stem Ginger & Madagascan Vanilla, Champagne and Strawberries, Creme de Violette, Pistachio and White Chocolate and Double Raspberry. All our marshmallows contain gelatine, and some contain alcohol, so this Club is exclusive to adults and non-vegetarians. Please specify the date on which you would like the first parcel to arrive (give or take a day) in the box provided. 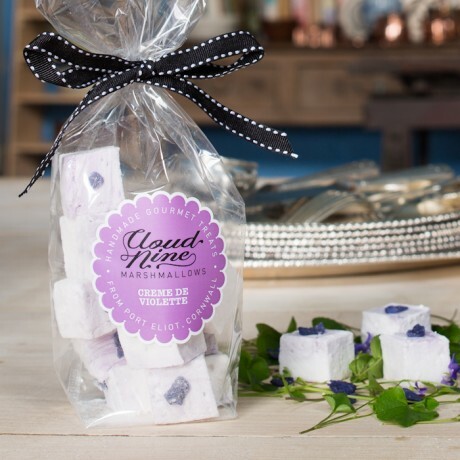 Each 100g packet contains around ten inch-cubed marshmallows. 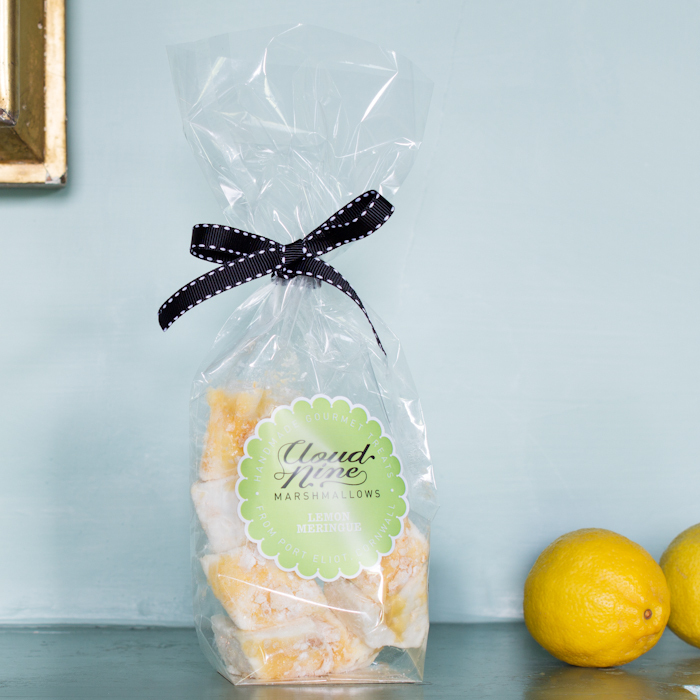 General Ingredients: Sugar, Liquid glucose, Gelatine, Icing sugar, Cornflour. For specific ingredients see individual product pages.